Hyundai Motor Company competes with some of the most efficient engines available within its domain. If you are amongst the extremely pleased Hyundai owners, then you realize Hyundai's designation for longevity and economy. If your car breaks down beyond repair, Sharper Edge Engines offers you a wide array of used Hyundai engines to get your vehicle out of the garage and into motion so you can pull your life back together. Our family welcomes you to Sharper Edge Engines where we realize that Hyundai long block is the most significant part of your car. Without a working motor, your life stalled, too. This is why all our Remanufactured Hyundai engines are completely renewed and put through intense testing procedures ensuring fulfillment of your highest expectations, quality and stability. A used Hyundai block available from Sharper Edge Engines will run as smoothly and soundly as a brand new counterpart but at a fraction of the cost. To explore the highest quality and most affordable used car engines available, call one of our power train specialists today free and expect multiple quotes with a relaxed and confident attitude. We provide an array of replacement Hyundai engine blocks at very affordable price ranges. Utilize our comprehensive and extensive collection of more than 15,000 units for used engine blocks for sale with full warranty and distinction. If you are unable to procure a specific used motor, we are more than happy to provide it. Our dedicated services provisions narrowing down to the exact Rebuilt Hyundai engine within the market place. Superb customer satisfaction is our definitive goal. If you are on the hunt for a used Hyundai transmission, we are the absolute best and most trustworthy internet source. We provide used Hyundai transfer cases in strict accordance to your needs with deep discounts. At SharperEdgeEngines.com, we take pleasure in delivering remanufactured Hyundai transmissions to our clients. With your used Hyundai block, every aspect connected to your engine is transformed. Imagine your Hyundai engine running like new again. 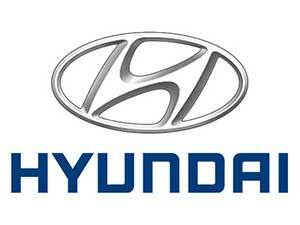 We are your comprehensive resource for Hyundai used cars. 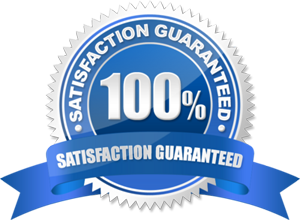 When you purchase your engine from Sharper Edge Engines, we assure you that we strongly stand behind the quality and warranty of our used car engines by backing it up with a 100% money-back guarantee. We give you multiple quotes and offers for your used Hyundai Engine, and you can choose the one you can afford. Now is the time to get onto the narrow strip of road leading to an affordable cure for that which ails your car. Come to us to purchase highly reliable and advanced used Hyundai car engines. Call us now to learn more about our services and check availability finding the best services for your satisfaction. Check out our listings and background information for the Hyundai Elantra, Sonata, Accent, Santa Fe and even the Azera. Over a quarter century of doing business our family-owned business is designated with the individual in mind bringing the fractional dealer prices directly to the persons needing the savings the most. We’ve satisfied relations with many acquisition managers across the globe to help secure parts only available to our clients. If we don’t have it, it may not exist. If you are considering revamping your present vehicle for longevity or better gas mileage now is the time to act. The current financial climate makes investors all too weary and many are not considering self-sufficiency measures regarding their transportation. Play it smart. Upgrade and extend the life of your power train now before the market prices skyrocket as more individuals become aware of this potential hazard for the upcoming years. With steadily increasing fuel prices, a lower-mileage and better-running engine is a smart move for the fuel-efficient Hyundai vehicles. Secure your ride. Call now.